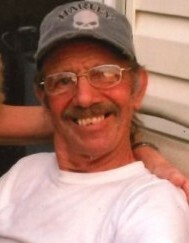 William George Lowman, 69 of Glen Burnie passed away on April 7, 2019 at his residence. William was the 4th of 9 children he was born in Baltimore and raised in Ferndale. He graduated from Andover High School in the late 60’s. He enlisted in the United States Army in 1969 and served faithfully and honorably until 1972. He worked as a Mechanic at Auto Clinic. He enjoyed hanging out at Down Under and Parsley's Pub. He will be remembered for his outgoing personality. He was preceded in death by his parents, Milburn and Elizabeth (Wendling) Lowman; siblings, Joe Brashewitz, Carolyn Schuman, and Frank Brashewitz. He is survived by his loving children, Billy Lowman (Chelsea), Marilyn Nazario (Berto), and Vanessa Miranda; grandchildren, Austin, Romie, Olivia, Maxwell, Sophia, and Sarina; his cherished significant other, Deborah Bush; siblings, Charles Lowman, Sharon Reynolds, Tommy Lowman, Mary Emge, and Donnie Lowman; and numerous special friends. The family will gather to celebrate his life in a special way privately.